Michi Uematsu currently serves as the CTO for ACCESS, leading the company’s software product R&D and commercial development, proposals to customers regarding how they can…. Michi Uematsu currently serves as the CTO for ACCESS, leading the company’s software product R&D and commercial development, proposals to customers regarding how they can deploy the technologies developed by ACCESS, and joint strategic trial projects. Michi is actively driving the deployment of these technologies not only in Japan but in Europe, the US, and Asia as well, tackling the challenge of bringing the embedded software technologies developed in Japan to countries throughout the world. In 2000, he joined ACCESS Co., Ltd. as a researcher in the company’s R & D office after working on researching distributed object technologies. He took part in the development of one of ACCESS’ flagship products, NetFrontTM v3, embedded browser software. He then went on to become the company’s director of research and development. In 2003, he was appointed the VP of R & D.
Michi received master’s degree in Information Science by the School of Science of the University of Tokyo. 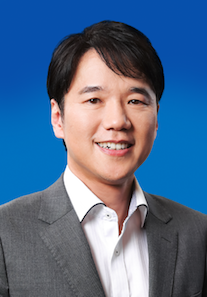 Atsushi Ogata is President and CEO of IP Infusion, and a member of its Board of Directors. Atsushi is responsible for executing the company’s strategy to stay at the leading edge of network operating systems in the evolving networking industry. Prior to becoming President and CEO, Atsushi led IP Infusion’s sales team and served as COO, responsible for the company’s global operations. 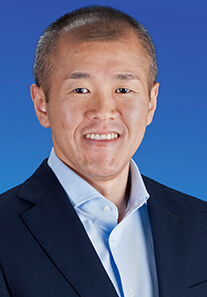 Atsushi has held numerous leadership positions at high technology companies in both the telecommunications and enterprise software industry. Before joining IP Infusion, Atsushi held an executive sales role at KVH, where he spearheaded the successful launch of new cloud computing services. Atsushi held executive sales positions at Oracle, as well as senior sales management positions for start-up companies including OpenPages, Macrovision, and Interwoven. He began his career at Cable & Wireless IDC, where he gained extensive multi-national experience. Atsushi holds a bachelor’s degree from Kwansei Gakuin University and an MBA from the Graduate School of Management at GLOBIS University. In his role as Vice President of Finance, Michael Lau is responsible for the financial oversight of IP Infusion’s worldwide operations. Michael brings more than 20 years of financial and accounting experience with public and privately held companies to his position. Prior to IP Infusion, Michael was the corporate controller at AlterEgo Networks, a developer and provider of enterprise software and services, where he helped build the organization’s overall accounting infrastructure. 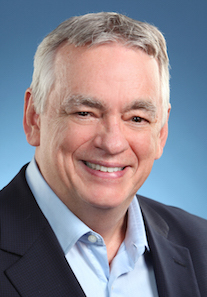 Prior to his position at AlterEgo Networks, Michael was the director of reporting at Intuitive Surgical (Nasdaq: ISRG), the global leader in the rapidly emerging field of robotic-assisted, minimally invasive surgery. Here, Michael played an integral role in taking Intuitive Surgical through its successful IPO in 2000. Michael has also held various management positions at Siliconix, a leader in the development of power semiconductor products, where he assisted in rebuilding the company, post-Chapter 11, into a highly successful corporation acquired by Vishay Semiconductors in 1998. Michael started his career with Ernst & Young where he specialized in the high tech industry. Michael holds a Bachelor of Science degree in Accounting from the University of Southern California. As Vice President of Human Resources, Susan Solat is responsible for global talent acquisition, employee compensation and benefits administration, real estate and site services. Susan has extensive experience as a human resources leader with global HR expertise in employee engagement, talent management and policy development for a variety of startup and industry leading technology companies. Prior to joining IP Infusion, she was Senior Director, Human Resources at Autonomy; HR Director at Sun Microsystems; and Director of Global Shared Services at Cisco Systems. Susan was also co-founder of Solat & Sellin, a HR consulting practice with a client base including Genetech, NetApp, and Symantec. 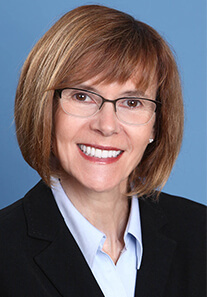 Susan holds a Masters of Industrial & Labor Relations from Cornell University; a Masters of Science in Education, Educational and Organizational Behavior from Wheelock College; and a Bachelors of Science in Psychology and Education from Fredonia State University. As Vice President of Product Marketing, Shaji Nathan is responsible for IP Infusion’s product portfolio. Shaji has extensive experience as a product management leader with a track record of bringing disruptive and innovative networking products to market focused on carriers and enterprises for startup and industry leading technology companies. Shaji has more than 18 years of experience in product management and technical marketing in the networking industry. 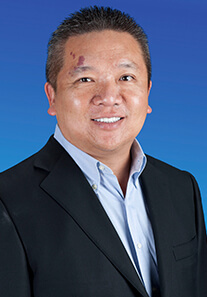 Prior to joining IP Infusion, he was Director, Product Management at Nuvon Inc.; Product Line Manager at Cisco Systems for over 13 years working in Cisco’s Enterprise Networking group, for the multi-billion dollar ISR product portfolio. 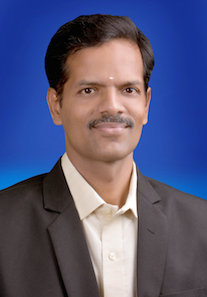 Shaji holds an MBA from the Lucas Graduate School of Business at San Jose State University; a Master of Science in Electronics, from Indiana State University; and a Bachelor of Science in Electrical Engineering from National Institute of Technology, Raipur, India. As Vice President, Global Sales, Gary Smith manages sales activities and revenue generation for IP Infusion on a worldwide basis. In addition, Gary has responsibility for developing global strategic partnerships to support the emerging open compute market. He has more than 25 years of experience in the management of worldwide sales strategies, channel development, and ecosystem alliances focused on the networking/telecom markets. Previous to joining IP Infusion, Gary held senior sales and technical management positions at numerous venture funded and public companies including Fujitsu Microelectronics, Vitesse Semiconductor and AMD. Gary holds a bachelor of science degree in electrical engineering from Rensselaer Polytechnic Institute. Dhiman Chowdhury is Vice President of Business Development and responsible for customer/partner relationships and outbound product marketing. Dhiman brings 20+ years of experience defining and delivering industry leading products generating revenues over $3.2 billion. 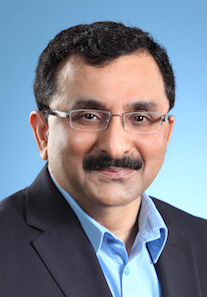 Prior to joining IP Infusion, Dhiman served as the Director, Systems Engineering at Delta Electronics where he created global market presence for Agema Systems, Inc. overarching many responsibilities to build business ground up as part of spin-out and spin-in initiative of open networking technology venture. As a successful venture, Agema Systems later merged back with Delta Electronics. 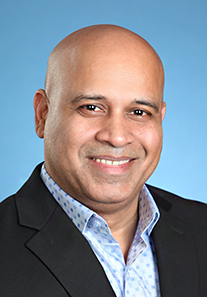 For nine years, he was Director of Technical Program Management (R&D) for Allied Telesis, covering networking product lines for the data center, telecom and enterprise. Dhiman was also a system architect (engineering product manager) at Netgear where he created service provider product lines including VoIP gateway products. At Nortel, Dhiman participated in the architecture and development of Industry’s first hybrid VoIP Routing Systems. He was also part of Nortel’s technology leadership team spearheading various technology initiative including protocol definitions and QoS architectures for transport over legacy and policy enabled networks. During his tenure at Nortel, Dhiman filed numerous patents and participated in industry standard committees. Dhiman has authored several technology books and wrote many scholarly articles. Some of his technology books on Unified and high-speed internetworking are continued to be reference handbook for graduate studies globally. He is a Research Scholar and doctoral fellow at The Robert Gordon University (RGU) with an undergraduate degree in electrical engineering and an MBA from University of Liverpool. Dhiman is an avid blogger, philanthropist, an advocate of human rights and founder of an NGO in special consultative status with United Nation that serves multiple orphanages in South Asia. Sudarsan comes with a rich experience of more than 22 years in the R&D in the communications and networking industry. He has built and managed vast Delivery teams, spanning across Product Design, Development, Solution Engineering and Customizations. In the current role, he is heading IP Infusion Software India Private Limited, which is a fully owned subsidiary of IP Infusion Inc. His previous work experience includes leadership roles at Aricent, wherein he worked as Director-Engineering. Here, he played an anchoring role in building an Offshore Development Centre for a leading OEM, growing the account size to 150+ engineers. He was also leading the Products Team at Aricent, focusing on OEMs and Service Providers. In his position at Wipro, he was working in the Center of Excellence, wherein new product ideas were incubated. He has also published IETF drafts in an endeavour to standardize implementations. Sudarsan has a B.E degree from University of Madras.